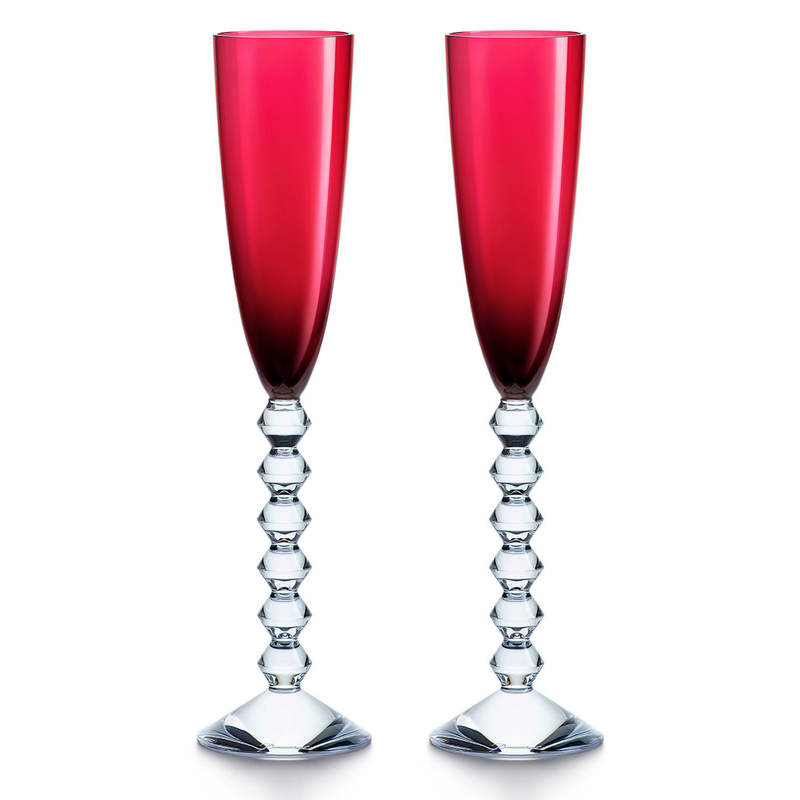 Sip on your favourite champagnes in style, thanks to the Vega Flutissimo Pair. Crafted from crystal, these two champagne flutes feature eye-catching stems, comprised of six stacked diamond-cut shapes. Stems are comprised of six stacked diamond-cut shapes. Presented as a pair in a Baccarat gift box.